Get notified when HARD Summer Music Festival tickets are available! 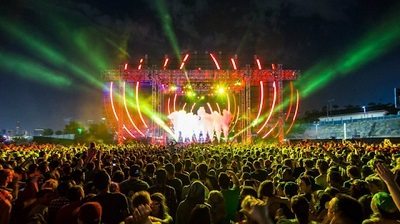 The Hard Summer Music Festival, simply shortened to Hard, was created in 2007 by Gary Richards and focuses most of the spotlight on electronica and alternative music, including new talent. The first event happened on December 31st and was held in downtown L.A. and featured Peaches and 2 Live Crew. The event has since become international, with other festivals being held all over the world. Get your tickets now for Hard and you can see some of the freshest new talent that are definitely going to be the stars of tomorrow.